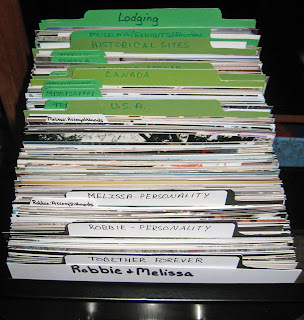 After completing the re-organization of my Library of Memories albums last month, I began working on re-organizing another one of the essentials in my LOM system - Category Drawers. 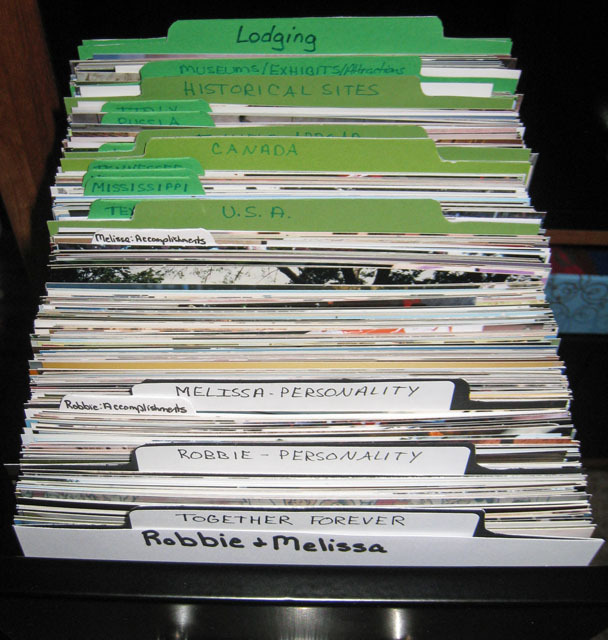 These drawers hold printed photos by categories, beginning with the five main categories in my system (Robbie & Melissa, Family & Friends, Days We Celebrate, Places We've Been, Things That Matter) and sub-categories and sections within each. Here's a look at my newly re-organized drawers. 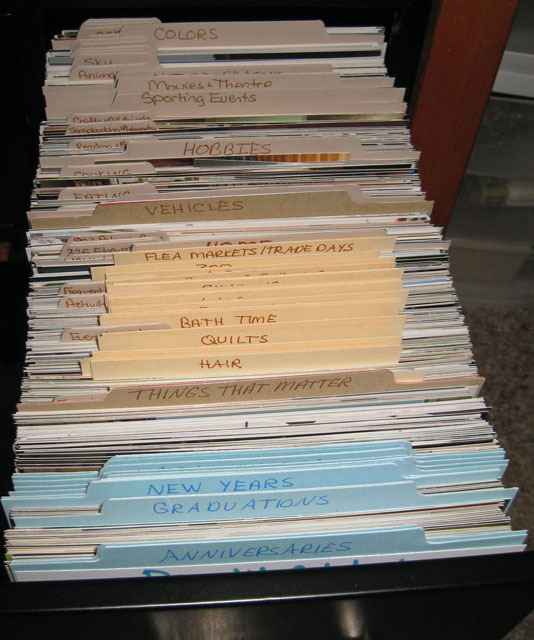 The purpose of these Category Drawers is to take a small percentage of your best photos and store them out of chronological order. This system makes it easy to find a photo of a certain person or for a particular topic when I'm scrapping a story that doesn't really have a specific photo with it. However, the main purpose of this type of organization is to allow these photos to "age" and then thumb through and find "connections" among similar photos. I wasn't really thinking about creating any connections layouts when I started working on these drawers; my main goal was to get them organized and set up sub-categories for the sections where I had just been putting photos behind the main tab. However, I was totally inspired by the connections I noticed and just had to stop and create two fun layouts. 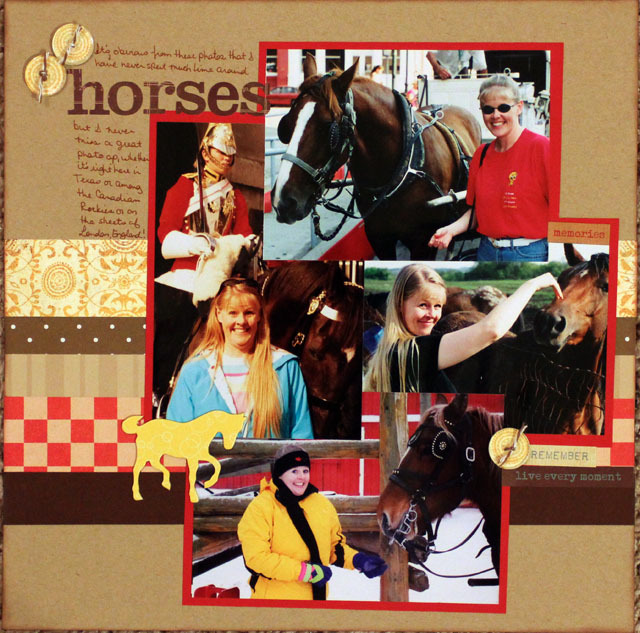 As I was thumbing through the photos of me, I noticed several photos of me standing beside a horse. I laughed out loud when I realized I have almost the same expression on my face in each one, even though they were taken in three different years AND three different countries! Journaling reads: It's obvious from these photos that I have never spent much time around horses, but I never miss a great photo op, whether it's right here in Texas or among the Canadian Rockies or on the streets of London, England. I'm excited to have another one of my LOM essentials re-organized and am now moving on to re-organizing/ decluttering/purging/triaging the photos in my Storage Binders. How about you, do you scrap photos from different years together? Have you found any connections in your photos lately? I don't print photos until I'm ready to use them in a layout and I keep the digital photos in folders by year then event. But, I do do something similar to your categories in that I tag them. It's fun to go through the tags and see every picture of my husband and I together in one collection, or every picture I've taken of flowers, etc. That's an impressive number of photos. 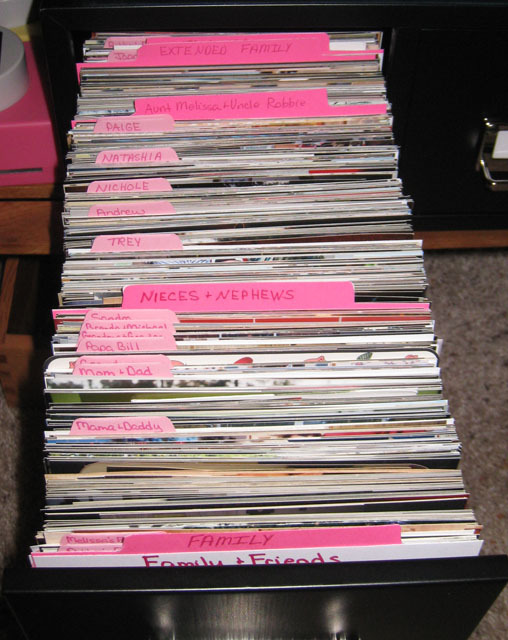 I'm in the process of organizing my digital photos and getting key words attachéd to all of them. Last night I was at a photo editing group and we had a presentation on archiving photos. Printing them was the #1 thing to do, so I guess that's next! All I can say is Wow! I've got totes, yes totes, full of photos from years gone by plus all the photos I inherited when my Mother passed. 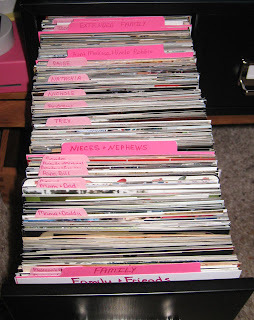 I've been procrastinating doing the scanning simply because they're nowhere near organized. 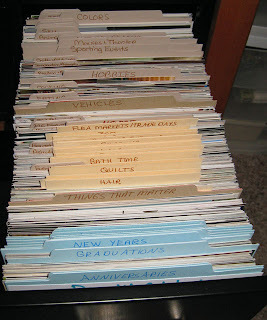 I think an organization system similar to yours would be the ticket to getting those photos scanned and scrapped. 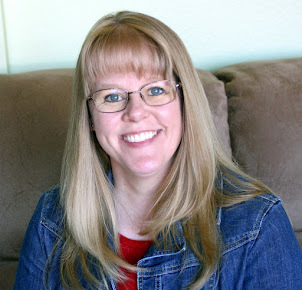 Great post, once again, Melissa!! Love your connections Melissa...I often use these kind of pages in Scrapbooks I'm making for other people, when they just send me one pic from every Birthday/ holiday or whatever! You've made tremendous progress getting this all together! I've been working on tagging digi photos. 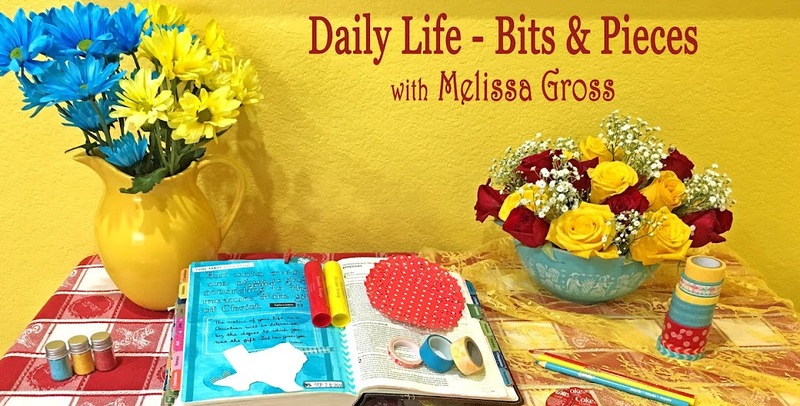 Trying to do a little each day, but sometimes I'm just not in the mood... but when I do, I often find a story to tell! 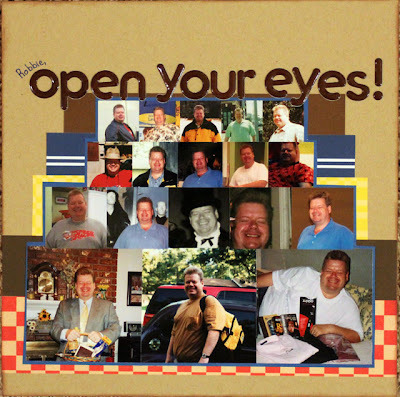 Wow, what wonderful files of photos you have at your fingertips! I do like to print my pictures out, but I don't have anywhere near as fine a collection as this.Amazing. Great job on the Category Drawers and great connections layouts! I've had my drawers for a few years now and am thinking this summer might be a good time to really go through them. GOSH Melissa - I already thought you were more organised than me, and now you're even MORE organised! Great pages though - fun connections made! As soon as I saw your post, I said .."oh wow" goodness youve got an amazing collection of photos there.